Luxury Vinyl Flooring in Castle Rock, Littleton & Colorado Springs, CO from Colorado Carpet & Flooring, Inc. Luxury vinyl flooring is an extremely popular flooring choice in the South Denver and Colorado Springs areas. Luxury vinyl materials provide beauty, comfort and durability and it is relatively easy to work with. Vinyl flooring has been recently losing some of its popularity to other forms of flooring simply because it just hasn't been the "in" thing in our area in recent times. Nevertheless, it is an excellent material if your remodeling budget is limited and you still want new flooring that is both beautiful to look at and comfortable to stand on for long periods. This is especially true for use in kitchens where the chef in your home stands for long periods of time while preparing complete meals. Vinyl flooring can be grouped into two major categories, vinyl sheets and luxury vinyl flooring available in tiles (LVT) or planks (LVP). Here are some facts about each type. 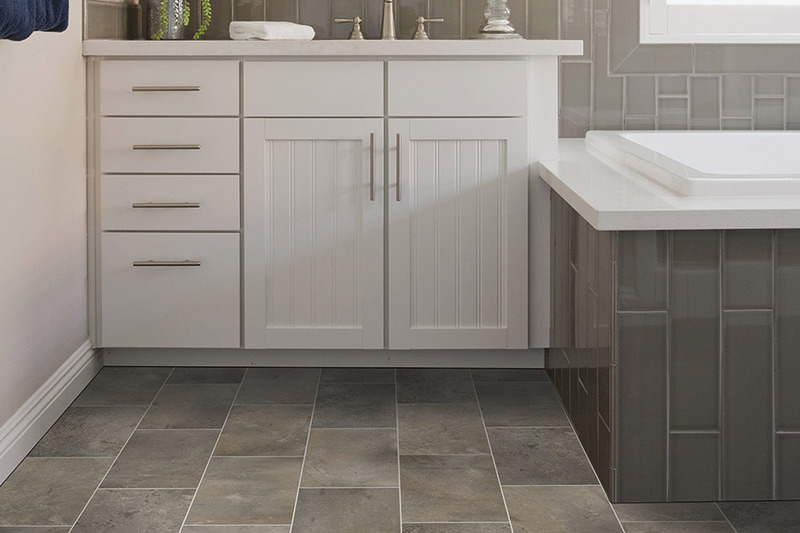 Luxury vinyl tiles are available in several sizes, depending on the manufacturer, sizes can range from 6-inch to 24-inch, even sizes 18-inch x 36-inch formats. 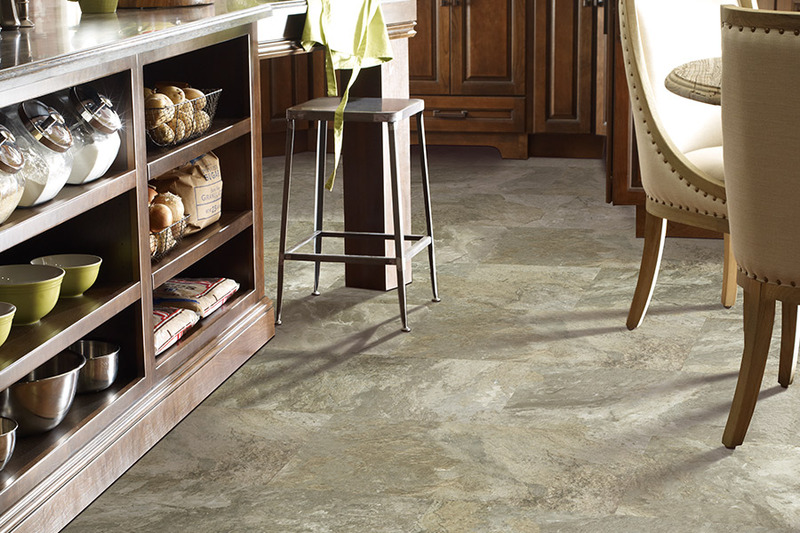 Larger format LVT is comprised of a base made of limestone and several different fillers and materials. These stunning tiles actually mimic the look of ceramic tile, or natural stone by using high definition imagery. Luxury vinyl tiles can be installed with or without grout and can be used on floors as well as walls for backsplashes. 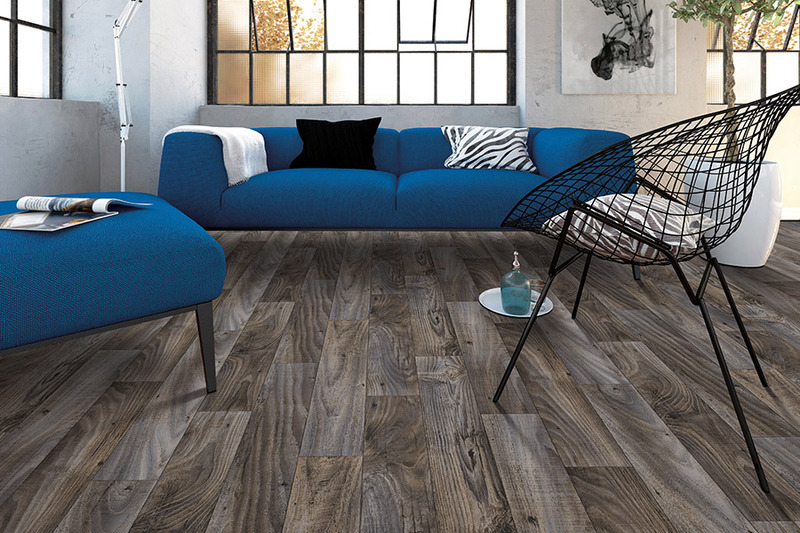 LVT is available for glue down or floating floor installations. Want the look of aged barn wood? How about exotic wood species like tigerwood or Brazilian cherry? 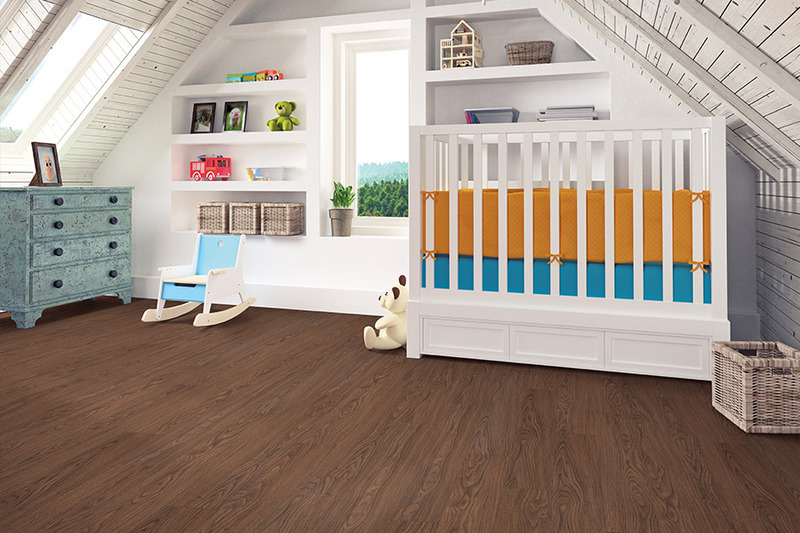 Luxury vinyl planks can deliver any “wood look” you want. 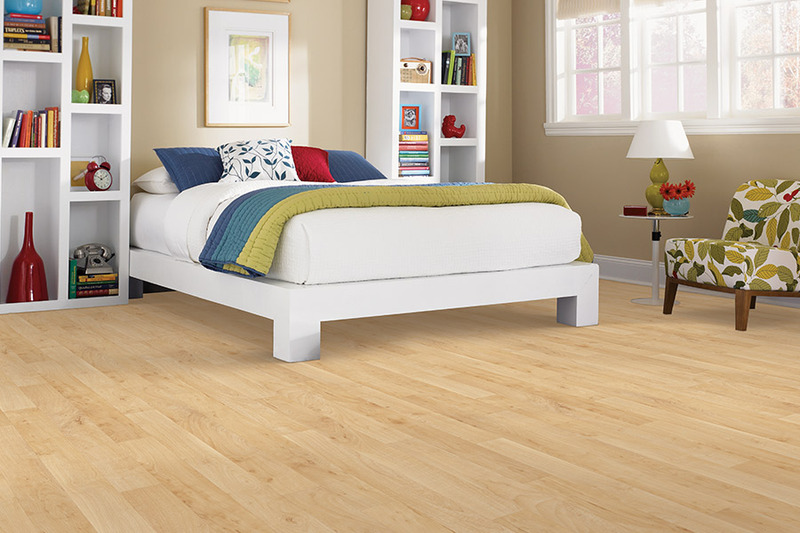 Planks are available in widths of 4-inch to 7-inch and lengths of up to 7 feet. LVP looks so real, only you will know its not real wood. Vintage, hand-scraped, rustic, old world, modern and traditional visuals can give any room a well-deserved makeover. With such a wide selection of wood and stone looks available, you’ll be pleased to know installation is also a breeze. It can be glued down or installed it as a floating, “click” together floor. 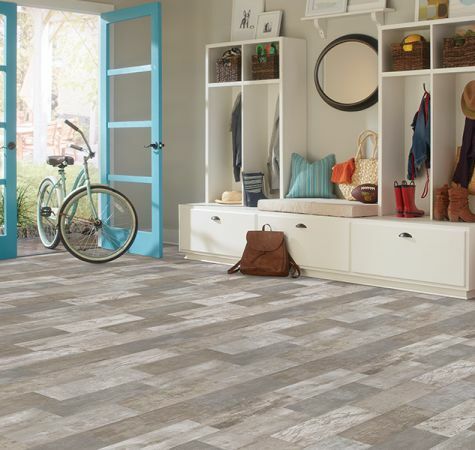 Imagine a flooring option that fits your budget but does not compromise your style! 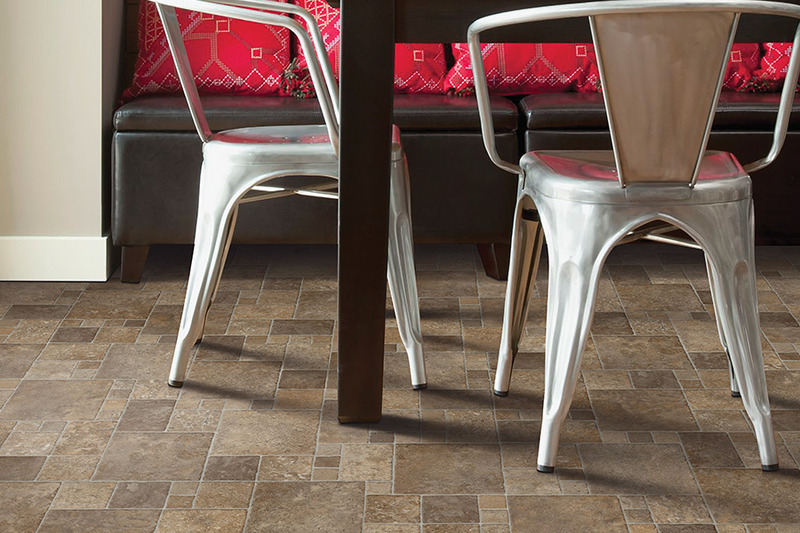 Luxury vinyl tile stays the same temperature no matter what the season? Come on…we dare you to go barefoot! Because it’s resilient, it makes standing for long periods of time easier, providing an added level of comfort. Best performer in a family setting: Can withstand scratches from pets as well as spills and scuffs from the kids. Colorado Flooring & Tile will be pleased to show you actual samples of both LVP and LVT flooring materials which will be far more informative than any text description. If you’d like to know more about luxury vinyl flooring products, phone us, email us, or stop in to our Colorado Springs, CO showroom to discuss your interest in luxury vinyl (LVP and LVT), as well as to look through our samples with one of our friendly and knowledgeable flooring specialists.